Highly detailed, fashion focused, swagger inspired, this One Piece Bartolomeo SCultures Big Zoukeio 5 Vol. 4 Statue became a fan favorite at the Banpresto Figure Colosseum figure design tournament that was held at the Jump Festa event in Japan and has been released as a limited run collectible by popular demand. 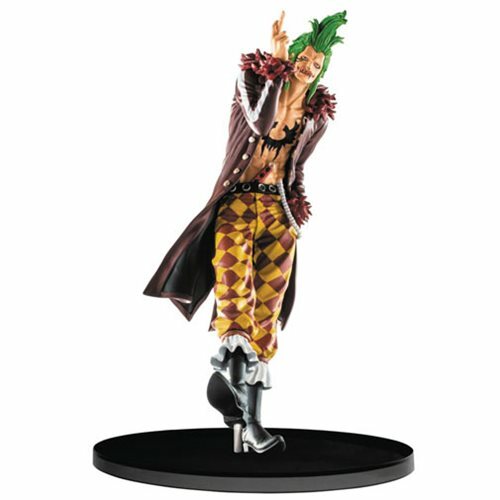 This statue features Bartolomeo from the legendary One Piece series. Figure stands approximately 7 1/8-inches tall. Ages 15 and up.